Casey Tibbs, 1929-1990, was a well-known, 9-time, World Champion Rodeo Cowboy. He traveled the rodeo circuit and delighted many as a champion bronc rider. 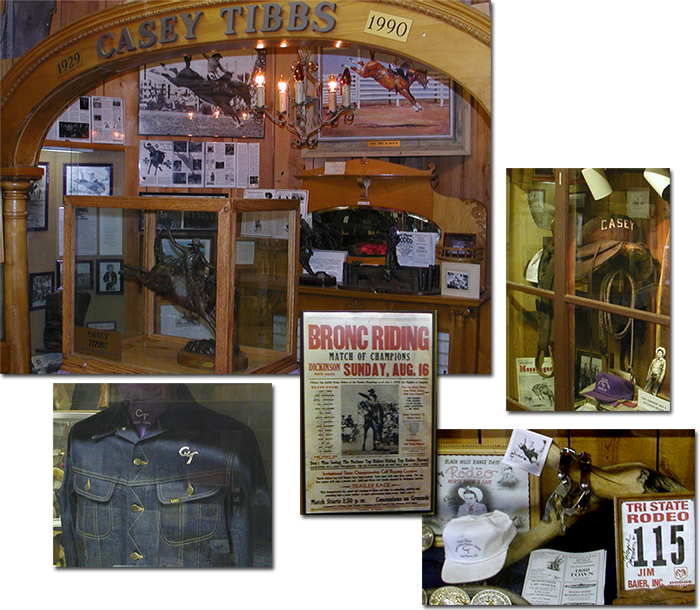 A tribute to Casey Tibbs is presented in the Vanishing Prairie Museum of the 1880 TOWN in a wide array of memorabilia, including one of his saddles, belt buckles, jackets, hats and other personal possessions as well as photographs, sculptures and event advertisements.